There are several new features that will be “game changers” in the World Wide DX Community. ATNO’s and Uniques will be front and center, and with a new – soon to be announced “Messaging Feature” – DQRM will drastically reduced – as it was with TX5K. Please stop by our table at Visalia – which will be in the hallway where all of the presentations will be taking place. We will have a rotating presentation showing detailed plans of VK0EK, and will discuss our “early donor” program and Express QSL Service plans. 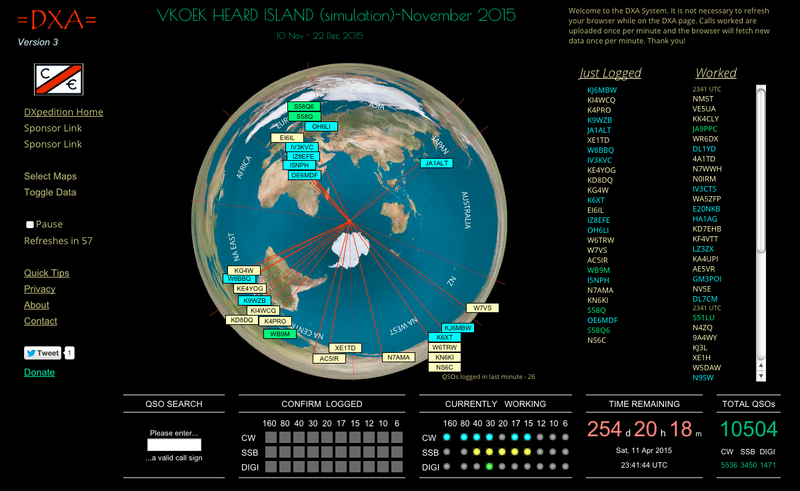 The developers of “OQSL” will be there – a new Open Source QSL Management project that is now underway, and which will be first used on the VK0EK DXpedition.